SOMERSET, N.J., Nov. 5, 2012 – The Post-Finasteride Syndrome Foundation is sponsoring a round-table discussion on PFS at the University of Milan's 7th International Meeting on Steroids and the Nervous System conference in Torino, Italy, Feb. 19, 2013. Titled "Effects of Finasteride Treatment on the Nervous System," the event is being organized by Roberto Melcangi, associate professor at UM's Institute of Endocrinology; and Giancarlo Panzica, head of the Anatomy, Pharmacology and Forensic Medicine Department at the University of Torino. Among the keynote speakers, in addition to Prof. Melcangi, will be Abdulmaged M. Traish, PhD, professor of biochemistry and urology at Boston University School of Medicine. Reported symptoms include loss of libido, erectile dysfunction, Peyronie's disease, penile shrinkage, gynecomastia, muscle atrophy, cognitive impairment, severely dry skin, and depression. The condition often has a life-altering impact on victims and their families, such as job loss and the breakup of marriages and romantic relationships, while also being linked to suicides. "We're moving quickly to increase awareness of PFS in medical and scientific communities around the world," said PFS Foundation CEO Dr. John Santmann. "At the same time, we're helping those researchers who've begun clinical explorations of PFS to continue that important work, while matching up new projects with researchers who've stepped forward to offer their expertise so that effective treatments may someday be developed." "The foundation's participation in the International Meeting on Steroids and the Nervous System conference is therefore an important initial step in achieving our goals," added Santmann. Other sessions at the five-day UM conference include "Neuroactive Steroids and Psychiatry Disorders," "Mechanisms of Rapid Regulation Behavior by Estrogens," "Epigenetics," "Estrogen-Regulated Synaptic Connectivity: New Approaches of Signaling," and "Genomic and Non-Genomic Effects of Neuroactive Steroids: Mechanisms of Action." 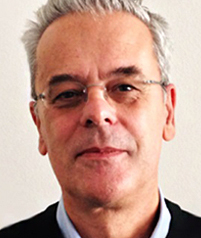 Jacques Balthazart, PhD, associate professor of neuroendocrinology in the GIGA Neurosciences Department at the University of Liège in Belgium, president of the Society for Behavioral Neuroendocrinology, and co-editor of the Oxford series on Behavioral Neuroendocrinology. Luis Miguel Garcia-Segura, PhD, research professor and head of the Functional and Systems Neurobiology Department at the Cajal Institute of the Spanish National Research Council (CSIC) in Madrid. Margaret M. McCarthy, PhD, professor of pharmacology and chair of the Pharmacology and Experimental Therapeutics Department at the University of Maryland School of Medicine in Baltimore, Md., U.S.A.
On April 11, 2012, the FDA ordered drug manufacturer Merck to revise the labeling on Propecia to reflect mounting evidence that it can cause persistent sexual dysfunction. Of the 421 Propecia-related sexual dysfunction cases reviewed by the FDA in its probe, 14 percent lasted longer than three months after patients quit the drug. Headquartered in Somerset N.J., the Post-Finasteride Syndrome Foundation was established in July 2012, with private grants from families in the U.S. and abroad. Financial contributions to the foundation can be made via PFSFoundation.org, which also houses published research, research goals, and media reports about PFS. The foundation has filed for 501(c)(3) status with the Internal Revenue Service, and aims to be granted nonprofit status in 2012. However, there is no guarantee that such status will be granted in 2012.